Start with a good, simple checklist, it will help keep your move on track. 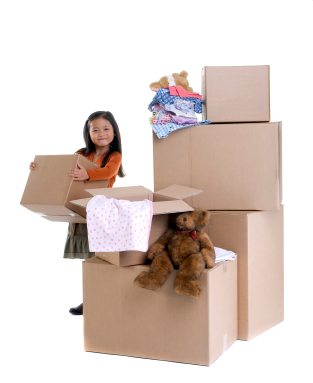 Add helpful websites and phone numbers to change your address, hook up utilities, enroll children in school and a few other goodies and you'll be well underway to a smooth and stress free move. It's our way of saying... Welcome Home. Visit our pinterest board for a collection of ideas from across the web to help make moving to your new apartment easy and stress free!